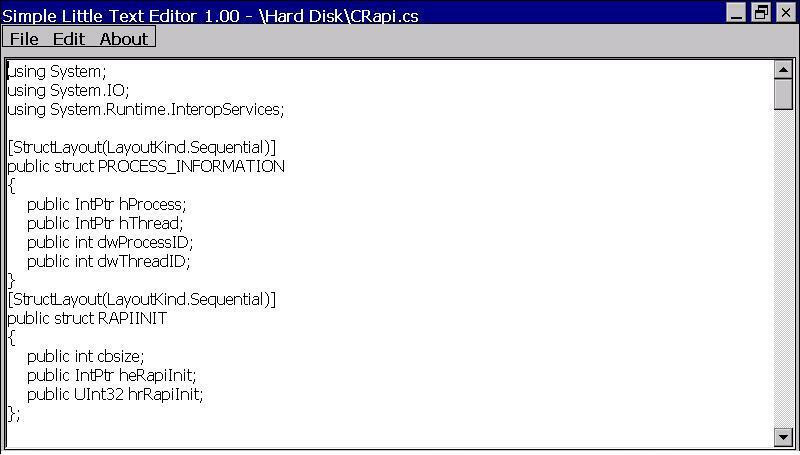 This article will discuss how to disable the system sounds via the registry. I know that the title is change system sounds, but trust me if you can disable the sounds, you can also change them. For this article, I will change the registry using a batch file. Once I disabled the sounds, the customer changed the requirement to include setting the sounds scheme, so we will do that also. Starting with disabling the system sounds, we first need to know that the system sounds are set in the registry in subkeys of HKEY_CURRENT_USER\AppEvents\Schemes\Apps. The current sound for each item is defined in the default value for a key named “.current”. So, to change the sound played for any item, we simply need to change the string value stored in the default value for the key named “.current”, further to disable the sound we simply set the value to the empty string (“”). Since my requirement is to disable all of the system sounds, I need to search for all subkeys named “.current”. reg query HKCU\AppEvents\Schemes\Apps /s > "%KeyFile%"
if NOT "%%I"=="(Default)" call :ProcessFoundData "%%I"
To be honest, that isn’t really setting the scheme to No Sound, just the name that is displayed. If you really want to change the sound scheme the way the Control Panel does, I suspect that you will need to copy the default values from the .None sounds to the .current settings. reg query "HKCU\AppEvents\Schemes\%1" /s > "%KeyFile%"
There has been plenty written about replacing the Explorer Shell to disable the taskbar, but what if you want the Explorer Shell, but don’t want the taskbar? This article will show how to disable the taskbar at runtime from your application. I have tested this on Windows XP and Windows 7, both embedded and non-embedded. 1. Hide the taskbar. This just makes it less visible while the system boots before you disable it from your application. 2. Unlock the taskbar, which allows it to be hidden and disabled. 3. Disable hot keys. While the taskbar can be disabled, there are problems, like the Windows key will show the Start menu in Windows 7. So if we disable some taskbar related keys we can avoid the problems. 4. Disable the taskbar. From an application, hide and disable the taskbar. First, hide the taskbar. I did a lot of research on this one and found that everybody who knew said something about changing Settings in HKEY_CURRENT_USER\Software\Microsoft\Windows\CurrentVersion\Explorer\StuckRects2 in the registry. What I found was that this registry value is written to the registry when Explorer shuts down. So, any changes that you need to make must be made either using Explorer or while Explorer is shut down. StuckRects2 is a REG_BINARY value, which means that it is a long set of hex values. Through some research and some trial and error, I found that the 9th byte effects the taskbar auto hide feature. A value of 02 disables auto hide, and a value of 03 enables auto hide. Because all of the other values probably do something, you should use this with caution. Finally, disable the taskbar. This is fairly simple, we need to find a handle to taskbar, then hide the window (different from auto hide) and disable the window. If we disable it but don’t hide it, it will still be visible. If we hide it but don’t disable it, it might come back. But you may be using C#. I am leaving out the P\Invokes because they are readily available at pinvoke.net. The P\Invokes that I used are for ShowWindowCommands, FindWindow, ShowWindow and EnableWindow. I recently decided that it was time to write my own Text Editor. I wrote this for my own needs, but am making it available to you. 1. Be able to view text files with any file extension. 2. Need to support multiple CPU families and multiple OS versions – so this targets the .NET CompactFramework version 2. I provide this Simple Little Text Editor to you free of charge and without a license and without a warrantee. You may use it as you see fit, I just ask that you do not provide it to others for download, instead refer them to this page.